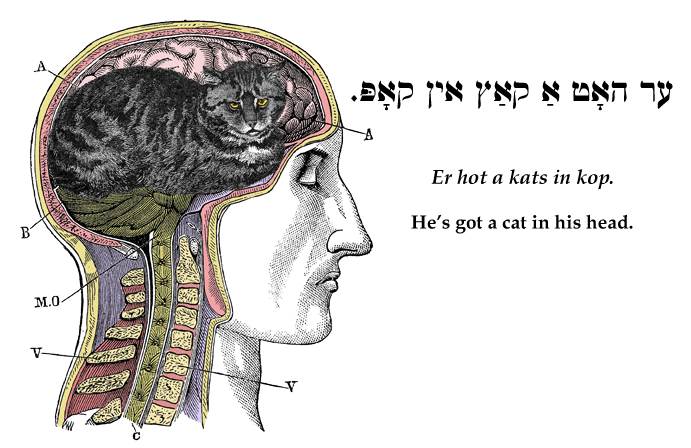 Yiddish Expression: He's got a cat in his head. ער האָט אַ קאַץ אין קאָפּ. Er hot a kats in kop. He's got a cat in his head.